The past few months have been a flurry of activity for new music here at Muzic.net.nz and there has been so many great reviews, gigs and new albums, both released and soon to be released. One of New Zealand's biggest Rock/Metal acts, Devilskin have been getting rave reviews for their new single, Mountains and the hype surrounding their upcoming new album and Mountains And The Moon tour is pretty exciting. They also recently celebrated We Rise going Platinum. 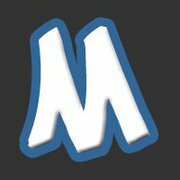 The best thing about being part of the Muzic.net.nz team is having access to all music news as it comes to hand and no doubt the excitement of new, undiscovered music and getting to review it. Hearing new music takes you to different places and reaffirms the passion we all have for music. This this month's newsletter we take a step back at some blast from the past with our Where Are They Now feature kicking off with The D4. Yours truly also gives you a rundown of one of the Muzic.net.nz team's own, alternative-rapper James Castady-Kristament (JCK) and his new video single, You're Not Tupac. We also have a chat with Auckland rockers, Magpie Claw, and you can also check out how some of New Zealand's bands got their names - you will be pleasantly surprised and fascinated with what we found! Perhaps it may give you or others you know inspiration for band names. We would love to get your feedback on this, and let us know how your band got its name! - Kerry and the Muzic.net.nz team. Circa 2005- Left to Right, Dion Palmer, Vaughan Williams, Jimmy Christmas and Daniel, 'Beaver' Pooley. When The D4 featured in our newsletter on 20 March 2005, they gave had just released their new album Out of My Head, which featured the single Sake Bomb. They were also about to head off to the UK to complete a tour around Europe with The Hives. 4. 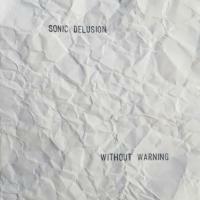 Release an E.P through local legend label Flying Nun, the quality and sheer excitement of which forces them to stump up funds for an album. 5. Make the album and call it 6Twenty. Secure releases in every major territory in the known world while touring heavily anywhere and everywhere, building on your reputation as a sonic explosion of fire and noise. 13. Give the new songs titles like Too Stupid To Live, Trust Nobody, Sake Bomb, What I Want and Stops Me Cold. 15. Set the band up together and spend the 10 days catching the perfect takes needed for the album. Record live onto tape, and go back to the songs only to perfect the vocals. Bring in Hammond organ players & Harmonica players, record live with them then realise they weren't necessary and fire them. 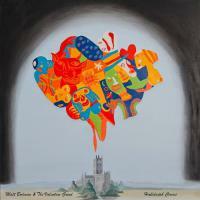 Track the album swiftly and furiously, pausing only to fit in the odd game of fuss-ball or a kick about on the lawn. Jimmy Christmas (guitar, vocals) (pictured) formed Luger Boa after The D4 decided to take an indefinite break. 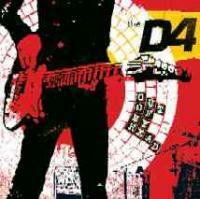 Christmas described the band as "pop-oriented", but with the "intensity of The D4". 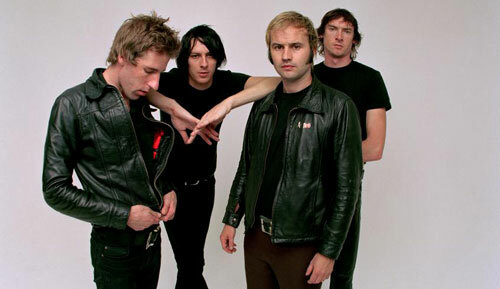 Their album Mutate or Die was released in 2009 and catapulted them into the public view, largely due to Christmas's fame from The D4. Dion Lunadon-Palmer (guitar, vocals) moved to New York and formed a band called The True Lovers. He also plays bass in A Place To Bury Strangers, and he has performed with The Snitches, Marty Sauce and The Source, Nothing At All, The Rainy Days and The Scavengers. Dion now manages Stuka Records. Vaughan Williams (bass) joined The Shocking Pinks. Vaughan was also in Dimmer and he has also performed with Shayne Carter. Daniel ‘Beaver’ Pooley (drums) has previously performed with The Satellite Spies. What is the one thing you want NZ to know about Magpie Claw? We want NZ to know that we have a bunch of really crazy and cool songs and ideas and you should check us out online and at our upcoming gig!! How would you describe Magpie Claw’s music in one sentence? It's like hard rock meets blues and then they merge with a bit of hip-hop and drive through the desert and end up in Vegas… check out our songs, it will make more sense then. What is Magpie Claw’s long term goal? At the moment we’re focusing on short term goals, like writing heaps of songs and developing our sound, but looking ahead a little, it would be great to get some international support slots and start work on an album. 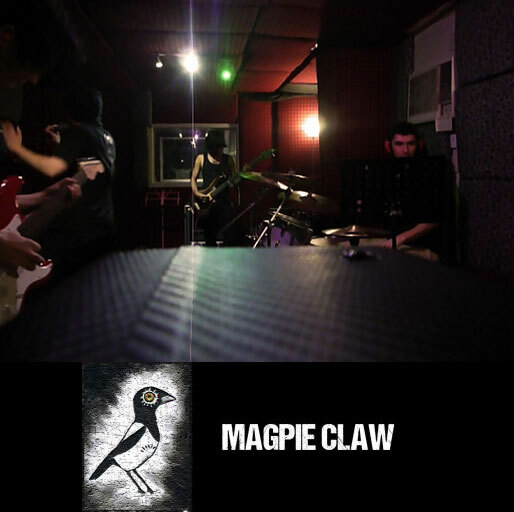 What can we expect to see from Magpie Claw over the next year? Lots of shows, single releases and some crazy music videos. The advice I give everyone, if you’re a musician in New Zealand, go to MAINZ. It's such a good place to learn everything you need to know about being a musician. Our whole band met and formed at MAINZ, taking everything we’re learning and putting it into our band has made things run really smoothly. How did you come up with the name Magpie Claw? We had this idea about wanting a name that had a bird theme to it, Calum came up with ‘Magpies’ which was taken and we just played with different words till we found Magpie Claw. 4 Magpies is a new beginning and we’re a four piece so it works pretty well. A lot of our ideas come from us all just hanging out after rehearsals and something silly or funny happens, then we start writing a song about it, it starts out funny and then turns into a serious song. We’re all songwriters and we all contribute and draw inspirations from different places. One of our early songs has quite a strong Jack White inspiration about it and we also look up to Tom Petty as a songwriter. We’re just getting started so at this point we’ve only played one proper show which was at the launch party for Radio Teapot, MAINZ radio station. It was really fun and we can’t wait to play more shows!! Magpie Claw are Calum McKay (vocals), Travis Cave (drums), Salman Khan (bass) and Ashlee Grigg (guitar). Alternative rapper and Muzic.net.nz team member, JCK aka James Castady-Kristament has just released the video single, the aptly named, You're Not Tupac, from his third album, Land Of The Wrong White Crowd. 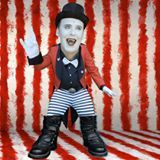 It's bizarre and perfectly suited to the already unique JCK, for those familiar with his music and previous videos. 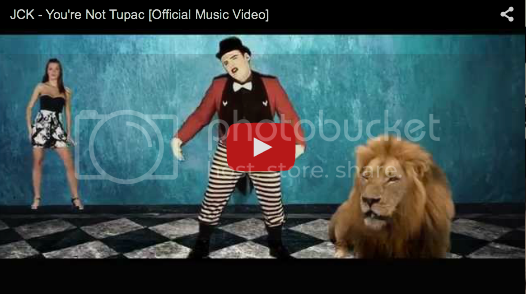 Gothic imagery, a suggestive dancing party girl and a Lion all make up the creatively parody affected video and its content. But let's not forget the creepy girl that looks like an escapee from an mental institution. Parody is what JCK does best with this single, and lyrically he excels at taking you through a really weird trip that kind of leaves you a bit shaken at the end. The video is a bit of a head spin and you have to take it for what it is, which is probably why JCK has a big following. It's pretty simple, the repeating of the aforementioned images and haunting ones of JCK with black contacts. Although not my choice of music, it is well crafted as he raps about wannabe rappers imitating 90's rap icon, Tupac Shukar, encouraging those to 'be real' The irony is not lost on me and I'm sure the fans will dig this new single. This month, we take a look at something a bit different and check out some of the hilarious and strange ways that some bands got their names. Sound the Ocean - from a Shakespeare play which had the line "Go sound the ocean, and cast your nets" in it. Whistlejacket - from a famous horse that was painted by George Stubbs in the 1700's of the Marquess of Rockinghams's horse - Whiustlejacket. Voe - stands for Vengeance of Excalibur. Devilskin - Jennie wrote some poignant lyrics to the song Fade, one of the first tunes we wrote, the lyrics were about a soured relationship and it struck me that people can act like they want by wearing a different skin. Some people will wear a Devils skin to act like a devil take it off and pretend they’re a saint. (As told by Paul Martin, bass). Module - named after a Windows Module Error. DateMonthYear - from a London hospital admissions form. Kong Fooey - from the 70's cartoon Hong Kong Phooey. Both Sides of the Line - a song title sung by rockabilly singer, Wanda Jackson. Human - the album title of favourite band Death. This Flight Tonight - a tribute to artist Joni Mitchell. Cobra Khan - A he-man toy. Maibox Skipole - the band's first microphone stand, which consisted of a skipole propped up in an upside-down mailbox. The skipole then went on to be taped to a cymbal stand to provide a third mic stand. Kasium - initials from two current and one past member. The Nomad - The Nomad is Damon Schwalger, and Nomad is Damon spelt backwards. Ashei (now known as Decades) - found in a horticulture book, it's part of the Latin name for a tree that makes gin. The Phoenix Foundation - the Government contractor that employed Angus MacGyver as a field agent in Seasons 2 through to 7 (1986-1991) of American action-adventure TV series, MacGyver. Salmonella Dub - Salmonella Dub got their name from the "bad-taste" dub versions of popular songs they used to break the ice with in their early sets. APRA AMCOS and Recorded Music NZ are all wiggly with excitement to announce the winners for the 2015 New Zealand Children’s Music Awards – celebrating music written for children. The awards were presented live this morning (Sunday 2 August) on TV2’s What Now by last year’s double winner, songstress Anika Moa. 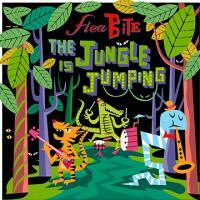 The big winner from the awards was FleaBITE, who took home two awards – the Recorded Music Best Childrens’ Music Album (Tui Award) for The Jungle is Jumping, and the What Now Best Children’s Music Video Award for Don’t Sit Under the Poo Tree, created by Stephen Templer and Ross Payne. The APRA Best Children’s Music Song was won by Levity Beet and Daniel Stryczek for their song There’s One in the Bush, a laid back earworm about Aotearoa’s native dinosaur, the Tuatara. Multi-instrumentalist and all round clever dude Levity also takes home the inaugural NZ On Air children’s music grant – a $10,000 grant for the recording of a song and a music video. Back by popular demand, the Music Managers Forum are proud to present the return of the Festival Bookers speed networking session to be held at The Tuning Fork in Auckland on Wednesday 29 July. Members interested who are based outside of Auckland will be able to schedule Skype appointments with the festive bookers throughout the evening. An outstanding line-up of bookers from some of the best music festivals in the industry will be answering questions and giving advice to music managers interested in gaining valuable insight with helping artists on to festival line-ups. This is a very rare opportunity to allow MMF members to meet face to face and learn from those at the top of their field. What do you get when you cross a brewer and a band on social media? Random acts of kindness, say Ron Trigg of mike’s Brewery, and Andre Manella of Sonic Delusion. Beer, music and social media - it’s the happy brew of Sonic Delusion, mike’s Brewery and a hashtag that aims to inspire impromptu acts of kindness from New Plymouth to Zurich. Each local artisan is launching his own Without Warning - an album and a craft beer respectively - and celebrating with spontaneous generosity under the hashtag #withoutwarning. “I’ve been shouting coffees, paying for people’s parking, and rocking up to local offices at 5pm on a Friday with a box of mike’s craft beer,” says Andre Manella, of the random acts of kindness he’s been surprising people with. “I did a beach clean-up with my kids, too - that one was for the penguins.” Fans have jumped on board with random acts of kindness that included delivering care packages to midwives, contributing towards a stranger’s petrol at the pump and donating firewood and movie tickets. 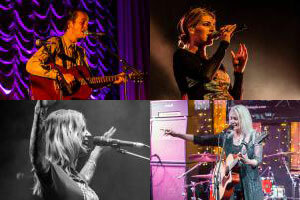 The Top 20 songs in line for the 2015 APRA Silver Scroll Award have been announced, featuring some of the biggest names in music alongside the new blood of New Zealand’s songwriting community. The winner of the APRA Silver Scroll Award is decided by the votes of APRA’s members - over 10,000 New Zealand songwriters and composers. Voting for the award is now open, and closes at midnight on Sunday 9th August. 2015 marks the 50th presentation of the APRA Silver Scroll Award, and as a part of the celebrations the ‘Lost Scroll’ of 1981 – the APRA Silver Scroll Award that was never awarded – will also be presented. All singles released in the 1981 eligibility period have been narrowed down to the Top 5 songs, and now, alongside the award for 2015, APRA members will also decide the winner of the 1981 APRA Silver Scroll Award. You can read all the latest NZ music news here. More gig and tour announcements can be found here. If any of these apply to you, we want you to join our team! Muzic.net.nz are looking for people who are lovers of music to join our team as reviewers, interviewers and photographers. The criteria is simple - you must be computer literate, a 'people person', and able to meet due dates. 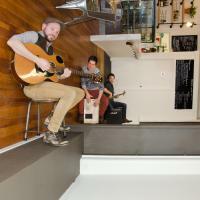 Anyone, from anywhere in NZ, will be considered - especially if you are a musician yourself. We'll even consider anyone in Australia who is able to attend gigs by NZ musicians and bands. If you think you are the best person for us, we'd love to hear from you! Email lisa@muzic.net.nz today - we'll look forward to hearing from you. Email lou@muzic.net.nz if you would like us to photograph you. Francis from NZ Blokes sat down with Shelton and Paul from I Am Giant to discuss recent events with the bands line-up changes, X Factor, their new music, new video, and new tour with Dead Letter Circus and Brendon Thomas and the Vibes! Check out this Rap It Up interview with Bobby by James Castady-Kristament (JCK). Email lisa@muzic.net.nz if you would like us to create a tour feature for you. The next muzic.net.nz newsletter is going out on Sunday 6 September 2015. There are only 4 issues left for 2015!